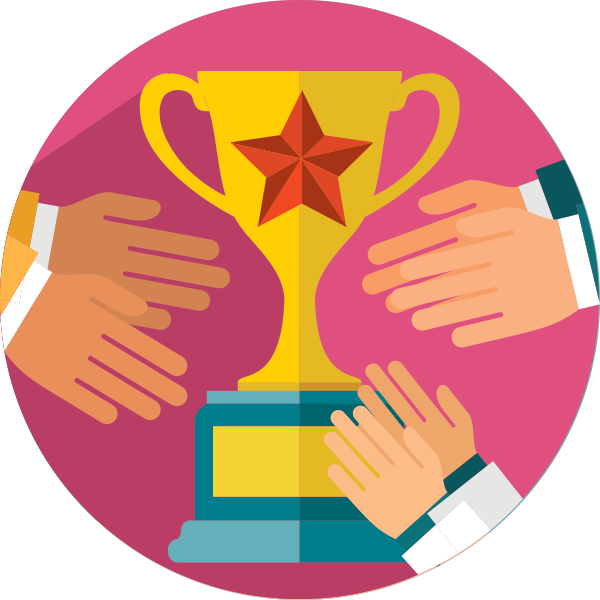 Nominate Outstanding Businesses and Community Leaders Today! The Arvada Chamber of Commerce is pleased to announce that we are now accepting nominations for a variety of local awards that recognize businesses and community members for their efforts to make Arvada an incredible place to live, work, play and learn. The winners will be recognized at the Arvada Chamber of Commerce Annual Dinner in January or the Annual Awards Luncheon in April based on the award they are receiving. Longtime and tireless volunteer at the Arvada Community Food Bank making multiple food pickups per week. Coordinated 9 News Cares and Postal Food Drives. A Boy Scout Master who oversaw several Boy Scout groups in Arvada and guided many of them towards their Eagle Scout Award. Received Channel 7 Hero Award. Eminent volunteer for the Arvada Historical Society. Worked at the McIlvoy House two to three days a week, coordinated the quarterly teas, co-chaired the annual cemetery tour, planned the Society’s Harvest Festival float, and maintained the gardens at the McIlvoy House and the Arvada Flour Mill. Volunteered at Arvada K-8 and helped with events for Arvada West Foundation. Devoted many hours to the Arvada Parks Advisory Committee, Arvada Harvest Festival, Arvada Community Gardens and Arvada Centennial Celebration. Organized a community biking group. Worked with the homeless in Olde Town by helping to provide them a food and clothing bank and a safe place to sleep at the Rising Church. Involved with Majestic View Nature Center. Coordinator and founder of Trees across Arvada. Volunteered with Arvada Food Bank and Meals on Wheels program. Helped provide free books for Arvada Food Bank Backpack Program. Coordinator and founder of Trees across Arvada. Volunteered with Arvada Community Food Bank, Majestic View Nature Center, Meals on Wheels and Arvada Parks Advisory Committee. Helped provide free books for Arvada Food Bank Backpack Program. Arvada Food Bank board member. Coordinator of Feeding the Future Backpack Program. Organizer of The Shrine of St. Anne’s annual melodrama to benefit the Food Bank. Reader for the blind. Volunteered music and audio equipment for many Arvada events. Board of Directors Arvada Food Bank. Coordinated Backpack Program at Thomson Elementary School. Served on Red Rocks Foundation Board and Habitat for Humanity Board of Directors. Past president of Arvada-Jefferson Kiwanis Club. President and board of directors of Arvada Community Food Bank. Helped develop capital campaign for their Bridges to Opportunity program. Served on Arvada Economic Development Association (AEDA) Board of Directors. Through his business, Sooper Credit Union, donated time and money to many Arvada events and organizations. Founder and director of Hope House Colorado, a nonprofit serving teenage mothers from Arvada and the Front Range during and after pregnancy. Through his business, Arvada Rent-Alls, donated time, money and equipment to local organizations. Served on Apex/North Jeffco Parks and Recreation District Foundation Board and Sooper Credit Union Community Foundation Board. Founder and director of Colorado Homeless Families helping homeless families reach self-sufficiency. Volunteered for Habitat for Humanity. President and board of directors of Arvada Community Food Bank. Chairman of Arvada Chamber of Commerce. Member of Arvada-Jefferson Kiwanis Club. Volunteer event organizer benefiting many organizations including Arvada Chamber of Commerce. Through his business, Sportline, provided time, money and equipment to many charitable endeavors including Ralston House. Past president Arvada-Jefferson Kiwanis Club. Served on Arvada Economic Development Association (AEDA) Retention Committee. Helped strengthen the Arvada Chamber of Commerce outreach program. Served on Arvada Center Arts Council. Served as chair of Arvada Charity Ball for three years, raising funds for Arvada Child Advocacy Center and the Arvada Center Accessibility Program. Over 27 years helped Arvada Kiwanis Club maintain the Ginny’s Kids Foundation, which he served as president, sending children with life-threating illnesses and their families to Disneyland. Charter member of Arvada Elks. Legacy of community and public service: Arvada City Council, Arvada Mayor Pro Tem, Chair of Denver Regional Council of Governments (DRCOG). Went on to serve on RTD Board. Community-minded business owner who provided leadership as president of the Arvada Chamber of Commerce, co-chair of capital campaign for Arvada Community Food Bank, Jefferson County Open Space Advisory Board and vice president of Arvada Economic Development Association Board (AEDA). Member of Arvada-Jefferson Kiwanis Club. Neighborhood activism led to years of community service. Grant writer for Foster Elementary School. Coordinator of the Arvada Community Food Bank’s Feeding the Future Backpack program. Starting in 1980, volunteered over 16,000 hours during his lifetime at the Arvada Center, primarily in hospitality. Long-time volunteer with Arvada Jaycees, Arvada Festivals Commission, Arvada Harvest Festival, Arvada Sister Cities International and the Arvada Center. Served on Arvada Center Arts Council. Served the community as volunteer for Meals on Wheels, Arvada Parks Advisory Committee, Arvada Harvest Festival, and Denver Museum of Nature and Science. Past president of Arvada Jefferson Kiwanis Club. Arvada Charity Ball founder and chair for 13 years raising over $430,000 for Arvada Child Advocacy Center and the Arvada Center Accessibility Program. Volunteered with Child Advocacy Center, Ralston House, Arvada Center for the Arts and Humanities, Arvada Historical Society, Jefferson County Historical Commission and Jefferson County Cultural Commission. Past president of Arvada-Jefferson Kiwanis Club. As first chair of Arvada Festivals Commission helped launch several new community events. Home hosted Cowboy Poetry participants. Co-chaired Arvada Harvest Festival. Board member of Arvada Sister Cities International. Legacy of giving and helping others from youth programs to senior assistance. Had leadership roles with Optimist Club. Strong Olde Town activist as owner of Rheinlander Bakery. Board member and first president of Historic Olde Town Arvada (HOTA). Contributed to redesign plan of Olde Town. Chaired Lions Club Eye Glass Program. Volunteered for Arvada Historical Society, Jefferson County Historical Commission, Arvada Cemetery board and Arvada Center for the Arts and Humanities. Dedicated community leader. Founded and coordinated Arvada Provide, the Arvada A-Line airport shuttle service. Served on Arvada Planning Commission and Arvada City Council. Co-founder of AWRSAY (Arvada/Wheat Ridge Service Ambassadors for Youth) and Santa House. Purchased books to circulate through the schools to promote reading. Strong supporter of students and families in need in the schools. Legacy of endless deeds and giver of hope and faith to people in need. Arvada’s most effective promoter of business and community for two decades. Served on city council when Arvada became a Charter City (1963). Enhanced the lives of people of all ages through activities at Shrine of St. Anne Catholic Church. Through his business, Ace Hardware, his generosity benefited countless youth and charitable organizations. Her guidance and volunteering with Inter-Church ARMS (Arvada Resource for Ministry and Service), helped provide programs for the needy including help with rent, food, utilities and medical bills. Original owner of Sportline. A founder of Arvada Community Food Bank. Served eight years on the board of directors of Inter-Church ARMS (Arvada Resource for Ministry and Service), a program which provided for the needy including help with rent, food, utilities and medical bills. His outreach included social justice and peace outreach. Long-time Arvada Center volunteer. Served as Arvada Center Arts Council president. Volunteered with North Jeffco Foundation Board, Arvada Harvest Festival Committee, Arvada Historical Society Board and Arvada Chamber of Commerce Board of Directors. Worked on Olde Town Arvada History Walk Committee. Pomona High School marching band director achieving numerous state honors. Through the band, represented Arvada throughout the United States and Europe. Hospitality volunteer extraordinaire at the Arvada Center purchasing and preparing food and providing her service for receptions and the theater until 1992 when banquet services were provided. Provided over 16,000 volunteer hours to the Center. Devoted to public education. Served on the R-1 Jeffco School Board. Instrumental in bringing Red Rocks Community College to Arvada. State Senator who championed education. Devoted 700 volunteer hours to Lutheran Hospital including coordinating their blood drive. Arvada Community Food Bank volunteer. Founding chair of Arvada Economic Development Association (AEDA) focusing on the revitalizing of Olde Town. Assumed the presidency of the Arvada Chamber of Commerce when the Chamber needed financial stability. First woman president of the Arvada Chamber of Commerce. Later served a second term. Involved in countless causes. Instrumental in getting the Mountain United Church housing project off the ground. He lived and believed that “Faith without work is dead.” A founder of the Arvada Community Food Bank and Inter-Church ARMS (Arvada Resource for Ministry and Service), a program which provided for the needy including help with rent, food, utilities and medical bills. President of Child Advocacy Center Board. Active volunteer with the American Legion. Holder of numerous offices with Arvada-Jefferson Kiwanis. Worked SHARES, a Colorado food distribution program. Chair of Olde town Business Improvement District. Charter member of Arvada Historical Society. Steering committee for the development of Gold Strike Park. Long-time Arvada Rotary Club member. Arvada West educator and foundation member. Coordinated all efforts for Jeffco Action Center Santa House for ten years. Member of the Arvada Chamber of Commerce and the Optimist Club. Served on campaign committee to locate Red Rocks Community College in Arvada. Volunteer for Bonfils Blood Bank, Arvada Center, 9 Health Fair and SHARES Colorado, a Colorado food distribution program. Director of Ginny’s Kids Foundation. Driving force behind success of Two Ponds National Wildlife Refuge. Environmentalist and animal activist. Worked with the Horse Rescue League. Appointed to Rocky Flats Health Advisory Panel by Governor Roy Romer. Community banker, 1st National Bank of Arvada, who went above and beyond to help generations of families and organizations. Member of Arvada Jefferson Kiwanis Club. As editor of Arvada Sentinel, spokesperson for Arvada for years with her writing, touching all facets and human elements. Arvada Center advocate. Chair of Arvada Center Arts Council. Responsible for bringing the Cowboy Poetry Gathering to the Arvada Center including hosting of participants. Founding director of Arvada Sister Cities International. Jeffco educator and principal. Member of Arvada Rotary Club. Known as the “Shoe Lady.” When Rayna noticed that local stores were throwing unsold shoes into dumpsters, she made it her mission to retrieve them and donate them to Denver area shelters. She also worked with area restaurants to donate unused food to shelters. Fifty years of volunteer service to a variety of Arvada organizations using his special talents, enthusiasm and ingenuity. Built more than 100 projects for children with developmental disabilities at the Margaret Walters School. These gadgets helped disabled children perform tasks they couldn’t do without them. Long-time Arvada historian noted for her avid storytelling and hundreds of walking tours. As part of the library staff at the McIlvoy House, helped to successfully lead the push for a new and bigger library. Charter member of Arvada Historical Society and Jefferson County Historical Commission. Owner of Duane’s Men’s Clothier. Past president of Arvada Chamber of Commerce. North Jeffco Foundation Board. Numerous positions with Arvada-Jefferson Kiwanis Club. Red Rocks Community College steering committee. Arvada Community Food Bank director and board member. Co-founder of the Arvada Community Food Bank. Served many years as president of Arvada Community Food Bank Board of Directors. Arvada Center volunteer. Active member and president of the Arvada Chamber of Commerce. Worked on the development of the I-70/I-76 interchange while on the Arvada Urban Renewal Authority (AURA). Charter member of Arvada Historical Society. Chronicled the city’s history in four books published by the Society. Former Arvada City Council member. Fundraiser for many local organizations, his work for the Women in Crisis Shelter being especially important. Arvada Harvest Festival coordinator. Chaired the Arvada Goals Task Force in the early 1970s leading to the establishment of the Arvada Comprehensive Plan. Former Arvada mayor instrumental in the effort to create an urban renewal authority. Charter member of Arvada Historical Society. Served on Arvada Cultural Master Plan Committee. Founder and director of Ginny’s Kids, sending children with life threating illnesses and their families to Disneyland. Rotary Club. Sponsor of Little League teams. As a volunteer, coordinated the City of Arvada’s volunteer program. Colorado teacher of the year in 1984 while at Pomona High School. Took student groups representing Arvada to Europe. Church youth director. Champion of the poor. Helped migrant farm workers in Denver area. Counseled families. Founded Arvada Community Resources Association (ACRA) helping the needy find resources such as clothing and food. Board member of Arvada Historical Society, Jefferson County Historical Commission and Arvada Kiwanis Club. Instrumental in raising awareness of mental health issues in our community and worked with women alcoholics in recovery. Served on Arvada City Council. Founded Meals on Wheels for homebound elderly. Founding member of Arvada Historical Society. Member of North Jeffco Parks and Recreation District Board and served as their attorney. Director of the Volunteers of America senior citizens meal site at the Lions Club. Established a restaurant, Bernard’s, where he always provided space for community events. After his first restaurant burned, he went to extraordinary lengths to rebuild in Arvada and paid his employees during the restoration process. His famous cinnamon rolls graced many community events. Community activist interested in issues dealing with the establishment of an Arvada flood plain. Worked towards the development of an improved Arvada arterial street plan. Charter member of Arvada-Jefferson Kiwanis Club. Prominent owner of Gambles, a gathering spot for community movers and shakers. Helped chair events for the Arvada Harvest Festival and Arvada Chamber of Commerce. Tireless advocate for the Arvada Center for the Arts and Humanities. Chair of the Arvada Center Advisory Board. City Council member. Beloved pastor of Christ the King Episcopal Church. Involved with the Arvada Chamber of Commerce and the Arvada Center for the Arts and Humanities. Along with an ecumenical group of pastors, began the annual ecumenical Thanksgiving services. Tireless community activist. Director of Arvada Community Resources Association (ACRA) clothing center. Key figure in the Arvada Harvest Festival including chairing the parade for 11 years. Worked with the Jaycees to promote the establishment of the Arvada Center. President of Arvada Garden Club, Arvada Women’s Club and Friends of the Library. Early Arvada historian. Educator at Fremont and Ralston Schools. Set up a drug awareness program for the students of the Shrine of St. Anne Catholic Church. Using slides and movies, also worked with the Jeffco Schools to help develop their original drug awareness educational program. Co-chaired the Arvada Centennial/Bicentennial committee 1974-1976. Active with Girl Scouts, St. Joan of Arc Catholic Church, and the Arvada Chamber of Commerce. Advocate for economic education and speakers bureau in Jeffco Schools. Served on Arvada Chamber of Commerce board. President of Industries for Jefferson County. Blood drive chair for Lutheran Hospital. Active with Arvada Youth Action Commission, Christian Rural Overseas Program (CROP) and Inter-Church ARMS (Arvada Resource for Ministry and Service), a program which provided for the needy including help with rent, food, utilities and medical bills. Helped with the development of the Stenger Soccer Fields; Past president of Arvada Chamber of Commerce. Encouraged the early growth of Olde Town business development. Co-chaired Arvada Centennial/Bicentennial committee. Involved in establishing drug awareness programs in Arvada. Started first school crossing guard program. Known for his “Love Bug”, a Volkswagen police car. Volunteer fire fighter. Taught safety classes. Helped children in need. Honored for being an accomplished attorney and judge on the Colorado Court of Appeals. Served on the Arvada Charter Commission. Active with the Jaycees and other civic groups. 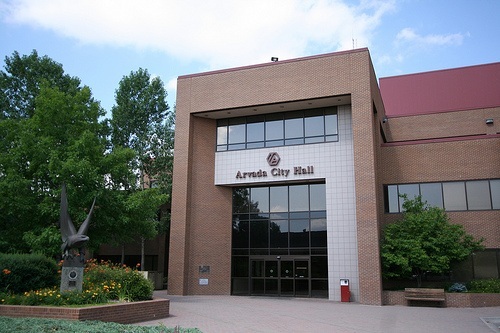 Instrumental in helping Arvada become a finalist for the All-American City award. Worked with the Arvada Youth Advisory Committee, the Hire-A-Youth program, the Adult Safety Club and other community projects. Served in various capacities in city administration including city manager and city treasurer where he organized the city’s financial records. The force behind the Arvada Center for the Arts and Humanities and Arvada Gold Strike Park. First president and founder of Arvada Historical Society. Helped restore the Arvada Flour Mill. Author of numerous Arvada and Jefferson County history books. Dedicated many hours giving Arvada history presentations to school children. As sponsor of an Arvada semi-professional baseball team, became a driving force behind the building of a new baseball park on five acres at 6255 West 56th Avenue. Instrumental in the development of the Red Rocks Community College in Lakewood. Active in several Arvada organizations supporting women and girls. Former city council member. Served on fire board, Arvada Cemetery Association and Denver Water Board. Donated Arvada Flour Mill to the Arvada Historical Society. Very involved with numerous Arvada Garden Club projects including landscaping the grounds of the new Arvada Public Library at 57th and Dover and the median strips along Wadsworth By-Pass. Honored for his many years of service to the city in various positions including assistant city manager. Worked with the Girl Scouts and other youth groups. Recognized for his many years as Arvada’s outstanding postmaster. Gave exceptional service to Arvada as the city clerk. Very involved in school, community and church projects. Recognized for her work with local Cuban refugee families. Served as a county judge, the attorney for the R-1 School District and North Jeffco Parks and Recreation District. President of the Arvada Chamber of Commerce. The baseball complex, Lutz Fields, is named in his honor. Worked as co-chair of the Home Rule Committee and on many school and civic projects. Worked on the city budget and co-chaired the Home Rule Committee. Active with the PTA, the girls at Ridge Home and the Garden Club’s landscaping at the new library at 57th and Dover. City mayor and president of North Jeffco Parks and Recreation District Board of Directors. Led the fight against urban renewal project slated for the Olde Town area. Elected Arvada’s first woman mayor. As owner of Craig Chevrolet, developed an outstanding business model emphasizing customer service. Served on Arvada Chamber of Commerce board. Big supporter of Arvada community events. As chair of the library board, involved in the founding of the new Arvada library at 57th and Dover. Chief of the Arvada Volunteer Fire Department for ten years, serving another eight years after this award. Worked as the Welcome Wagon hostess for Arvada, greeting newcomers to the area with information about local businesses and events. Provided leadership on the Community Hungarian Relief Committee. Active participant in planning the Arvada Center. As a physical education teacher, became a driving force behind establishing the North Jeffco Parks and Recreation District. Elected to the board numerous terms. Later helped to establish the North Jeffco Senior Center. Publisher of the Arvada Enterprise newspaper sharing thought and opinion since 1923. Fair and accurate reporting made the paper an integral part of the community. President of the Arvada Garden Club. Served on the Arvada Parks Commission. Donated trees for numerous projects in Arvada. A member in a floral arts study club and a lifetime member of the State Federation of Garden Clubs. Elected Arvada’s representative to the Jeffco R-1 Board of Education when the district was formed in 1951. Served as president for two years. Helped strengthen the concept of a consolidated school district. President of the Arvada Chamber of Commerce and parliamentarian for many years. As mayor, signed a contract with Denver Water Board ensuring Arvada would be supplied with water for the future. Recognized for her dedication to the children of Arvada through her 33 years of teaching at Lawrence Elementary School. As owner of Arvada Iron Works, he was a two-term president of the Arvada Chamber of Commerce and was active in several local civic organizations. Arvada librarian in the old McIlvoy House who dedicated many long hours to developing reading programs for local youth. Began collecting and organizing books for children in a library catering mainly to adults. Named Arvada’s first Woman of the Year. Provided medical care for hundreds of local citizens. Active in school and civic affairs. Charter member of the Arvada Community Club, forerunner to the Arvada Chamber of Commerce. Played a major role in bringing tramway service to Arvada. Served on Arvada school board, town council and, during WWI, the civil defense council. Business leader who led much of Olde Town construction; Obtained a private loan in gold coins to build the Gold Coin Building that still stands on Olde Wadsworth today. 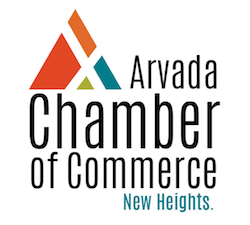 Charter member of Arvada Chamber of Commerce. A contractor who led post-war building boom in Arvada, building 97 percent of all the homes constructed in Arvada from the end of World War II until 1952. Served on town board, Arvada library board and Citizens Water Committee.